A German Lager/Ale hybrid style that is traditionally made in Köln, Germany. Ideally, this beer is fermented between 58 - 64F, followed by cold aging for several weeks. It is a very tasty summer brew! Blonde in color, with low hop bitterness, a smooth flavor; grab a few bottles and head for the pool! This kit includes 4 pounds of our Pilsner liquid malt extract for authentic pils type flavor and 2 pounds of golden DME to give a more complex malt flavor to this light beer style. Also comes with 4 ounces of Maltodextrin powder to boost mouthfeel. I like this type of beer. I like lagers but do not have controlled temperature fermentation, so low bitter ales seem like a good choice. - it will be my third batch of home brew. Makes a great base for a cranberry beer! This beer came out very bland. Not a lot of flavor. 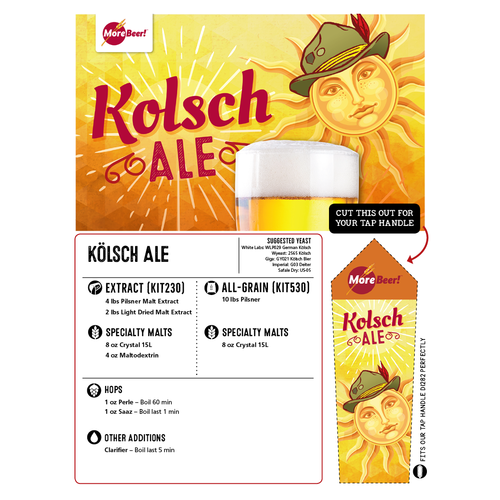 Other Kolsch ales I've brewed have been full of flavor. 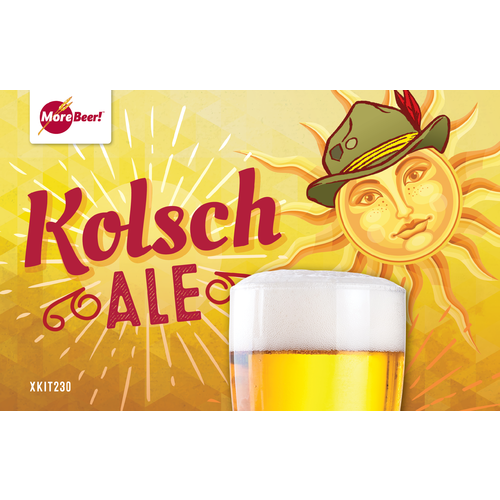 Hello Craig - Kolsch is typically intended to be rather mild. Flavor comes in the complexity. Was there a particular part of the recipe you did not agree with? Many people have commented on how good this beer turned out. Will brew it again! Tried it, didn't love the result. Kind of bland. This is the best extract beer of the 10 or so I've made so far. The steeping grains add some freshness and character. The dextrin gives it a nice mouthfeel. It's a really delicious beer. Lots of flavor yet very drinkable. Mine came out with a very slight banana-bread fragrance and a bit of vanilla-like flavor. Very pleasant but I think it's not supposed to be there in a K?_lsch style beer. Probably because I pitched the yeast at around 80F (it was a hot day!) before cooling to around 62F. Next time I'll try getting the wort cooler before pitching. There was a little bit of harshness that seemed to be reduced by lagering. Problem was, I couldn't keep myself and my friends from drinking it long enough to lager more than a couple weeks. I used the white labs K?_lsch yeast WLP029. I've read that there can be sulfur smell while this yeast is fermenting but I didn't get any of that. It was pleasantly fragrant the whole time. Brewed this and several other styles for a seafood boil party and the crowd complimented me on this beer in particular. It is a crisp summer beer and went well with the seafood. Seemed a little heavier than a true Kolsch, but still a good all around beer. I may try the all grain version next time. Not bad, but it didn't really taste like a Kolsch to me. I brewed the extract version of this recipe, but it really didn't taste like a Kolsch to me. I've brewed other recipes that had additional specialty malts (1/4 lb Vienna Malt and 1/4 lb Wheat Malt), as well as Tettnanger instead of Perle. I have a feeling the additional malts reminded me of what I tasted in Cologne. Got this with basic equipment kit for one Christmas. Sat in storage for years with the kit until I was shamed into making it. Had to buy new yeast but the steeping grains held up well. It had mild cheesy overtonesmaybe due to age of kit? At the time, I thought it was the best beer in the world. Color in the picture is somewhat off. Made the ale extract version. It's just a nice drinkable brew. I've gotten many compliments on the beer and my friends are asking for more. The beer was very easy to brew and the instructions very straight forward. I'll brew again, especially for the summer nights. Nice drinkable beer for summer. Easy to make, if a tad boring. As I am very limited in my brewing equipment, I am always on the look out for nice, light, extract-based ales. All-grain and lagering is unfortunately out of the question for me. 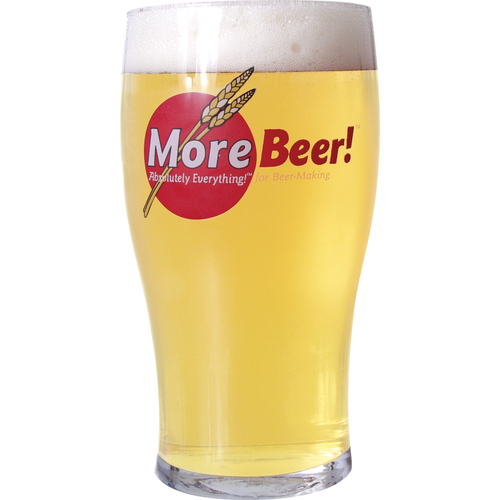 This beer fit the bill nicely- a simple, drinkable beer for summer. This batch was very popular and went quickly. I used a white labs kolsch yeast for this brew. Brewday was very straightforward. My only complaint was I personally found it a bit boring. It didn't balance drinkability and flavor quite as well as some of the great commercial kolsch beers I've tried. Nevertheless, it was well liked by the masses. Not bad and easy to brew. DOESN'T hold a candle to the far soperior RED KOLSCH kit. That one's great! Like others, reminds me of days in Koln - super easy, excellent results everytime - a go to "house" beer now. This is one great ale! Delicious and refreshing. We used dry yeast. Just 3 weeks from brewing to delicious, refreshing, bottled beer. Yeast paints beautifully, so we can get every last delectable drop. We will definitely make this one again and again. 3rd time I'm putting up a 10gal batch. made this one my house brand! It is authentic in flavor and appearance and brings back long lost memories. and later immigrating to Alaska left me wanting... Not any more! This Kit is it! !